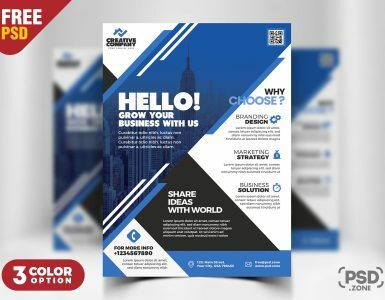 I’m happy to share Friday Night Party Flyer Free PSD. This Friday Night Party Flyer Free PSD can be used as an invitation card for your friends for a night party events, concert, festival or any weekly event in a music club, which will leave a great impression on them. 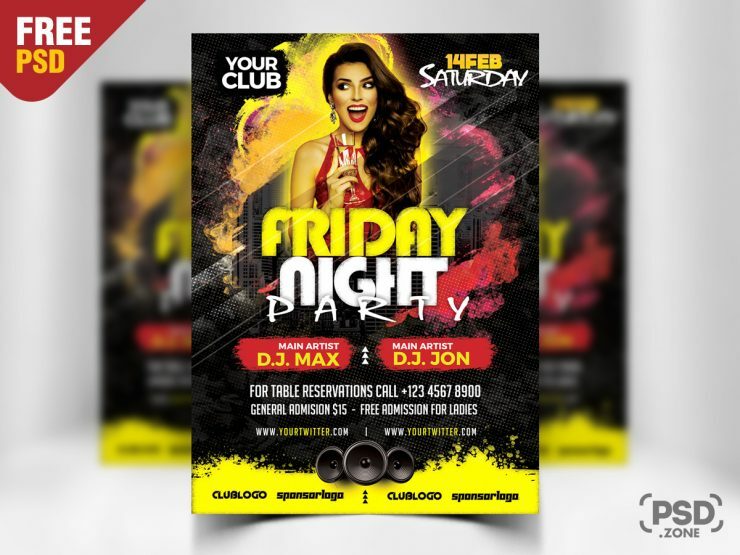 This print ready Friday Night Party Flyer Free PSD includes a A4 Size, 300 dpi print ready CMYK, PSD file. 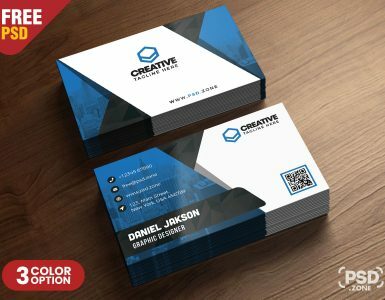 PSD file is fully layered and organized to keep customization in adobe photoshop very simple. 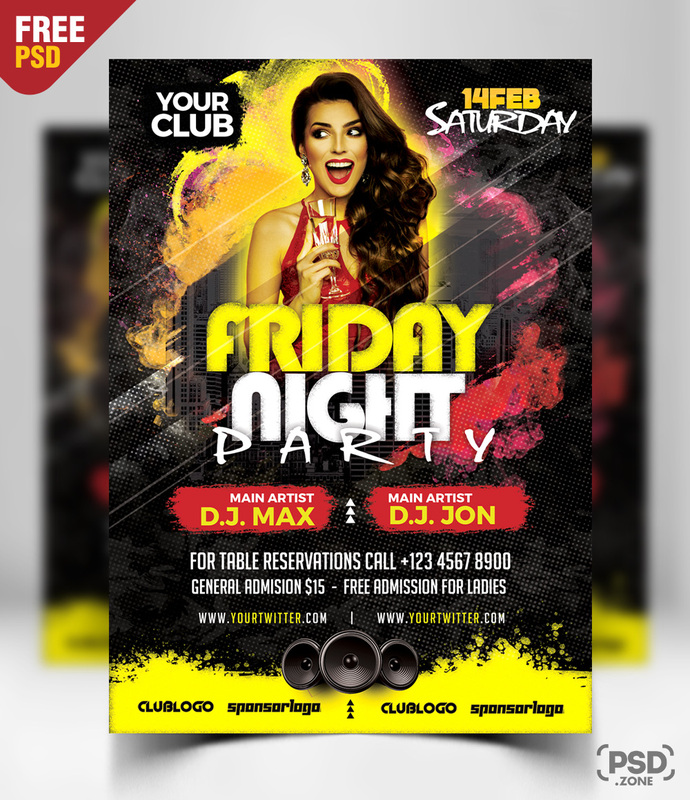 so Download this Friday Night Party Flyer PSD and its a available for free download.